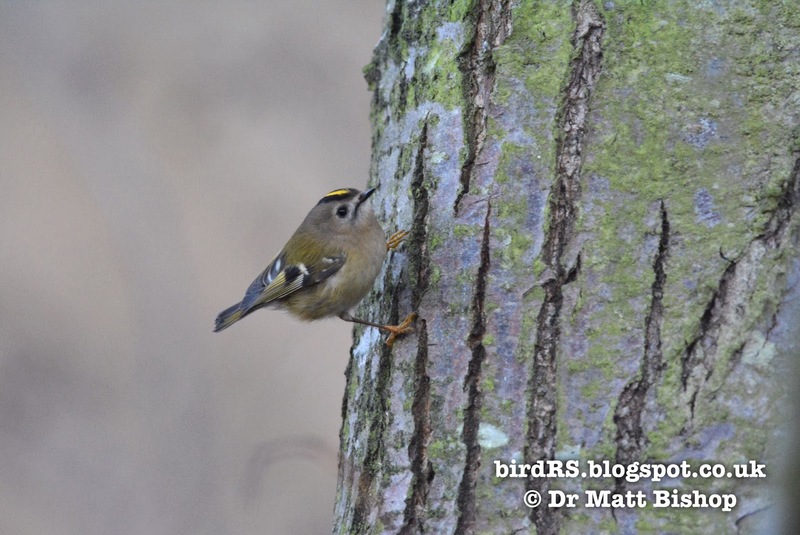 birdRS: Goldcrest (Regulus regulus): when taking photographs is such pleasure. 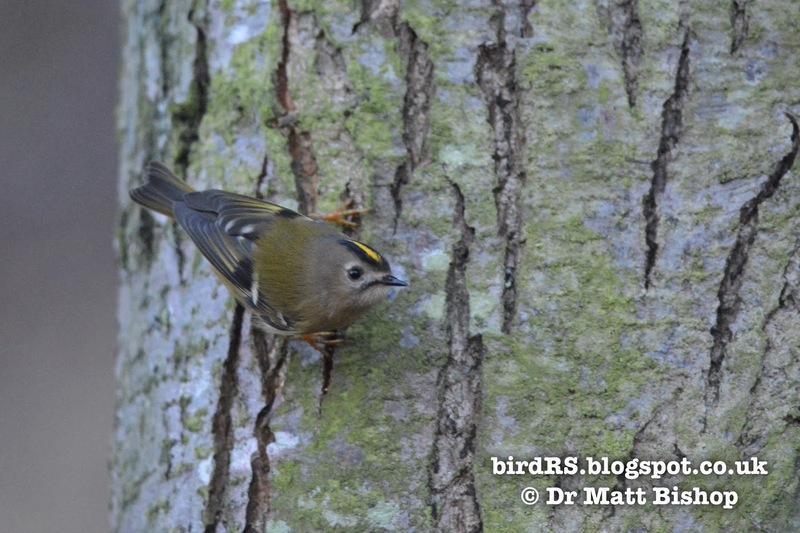 Goldcrest (Regulus regulus): when taking photographs is such pleasure. 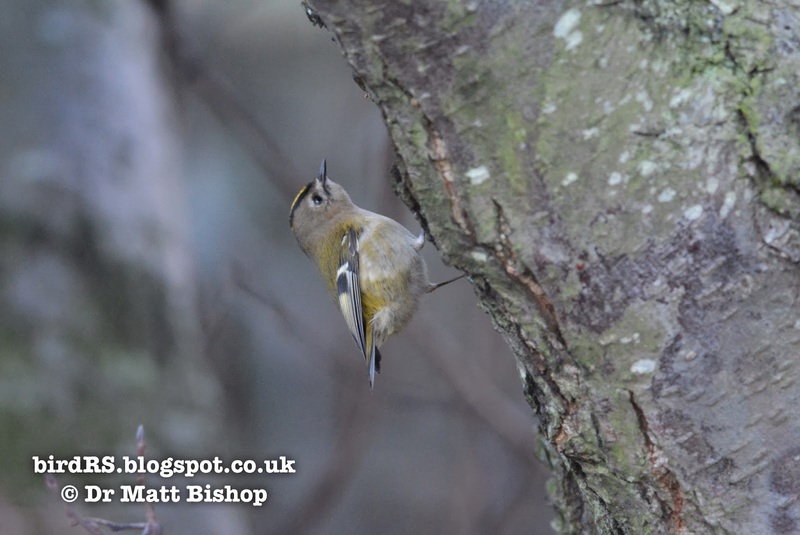 Whilst out for a brief walk with the dog, we had only got to the trees by the car-park at North Berwick Law, when I heard then saw the exquisite sight of a Goldcrest. It searched for insects on the bark of a tree for at least 10 minutes while I took photographs; no searching through the undergrowth, no stalking through the bushes, no brief glimpses without a photograph taken. This was just a simple but great pleasure to be able to capture a moment in this tiny, but striking, bird's daily routine.